At the beginning of the year, I was planning to write a Me and Mine post every month. I love the idea of taking a monthly family portrait. We have plenty of pictures of our little girl, but not many that show our whole family. For the first few months, I stuck to the plan and we took family pictures each month, but as soon as summer arrived and our lives got a whole lot busier, taking family pictures literally went out of the window. We could never find the perfect opportunity or simply just forgot. A couple of weekends ago, we set out on a lovely family walk to find some conkers. We couldn’t actually locate any, but we ended up being able to take some nice family pictures on the way. The weather was just beautiful (I seriously wouldn’t mind if all of autumn/winter had these lovely temperatures J) and everyone was in a fantastic mood. October was quite a busy and fun-packed month for us. The biggest change was obviously our little girl starting primary school at the end of September. She loves big school and I couldn’t be any prouder of her (although I miss her terribly when she is gone all day). And then it was already time for her first half-term break. We really made the most of this week and spent so much family quality time together. Luckily my husband and I both had the complete week off work, which meant so much to us. We met up with our daughter’s old nursery friends, carved pumpkins, met the Gruffalo, went to a farm and installed a new garden shed (which our little girl is currently using as a playhouse – not quite the plan, but it provides her with endless fun J). I definitely want to try and make a bit more of an effort with these family pictures, especially when we will soon be a family of four. We cannot wait for our newest arrival to complete our family. I’ve mentioned it before, but this pregnancy is going so fast – only a few more weeks left, before I start maternity leave – yay! Here we are, at the end of another month. March has been full of celebrations for us. My husband turned 40 in mid March and just a few days later, we celebrated our little girl’s 4th birthday. I still cannot believe that she is 4 already. I say it over and over again, but where has all this time gone? Over the Easter weekend we had my parents, sister and her boyfriend to stay with us for a couple of days which was so nice! We used this opportunity to have my soon to be brother-in-law take this month’s Me and Mine pictures for us. For the past few months we have been taking our family portraits with my mobile phone as a shutter release, but it is so much easier (and quicker) to have an actual person do this for us. We captured these images on Good Friday which luckily was such a beautiful and sunny day – this also means that all of us are squinting a bit, but I’d choose squinting over wet and dull days every time. Although we had 29 days in February this year, this month still went by incredibly fast (proof: As I am writing this we are already a few days into March…). Despite the weather still being so cold and wet (I am definitely ready for spring! ), we still managed to get out and about at the weekends quite a bit. From walking up the Downs in very windy conditions to wading through thick mud around a reservoir – we literally did it all. We had my sister and my brother-in-law visit us for a few days this month. We don’t get to see them very often as they live in a different country and although we skype regularly, seeing each other in person is also so much more special. Our little one was so excited and literally didn’t leave their side. We have also been busy preparing birthday parties that are coming up in March. Our little girl will turn 4 (where did the time go??) and my husband will be 40 in a couple of weeks. 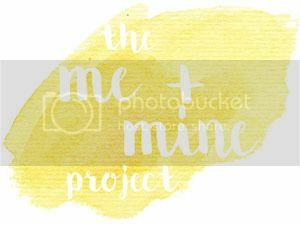 I discovered the Me and Mine project a couple of months ago and it has quickly become one of my most favourite photo link-ups. I love the idea of taking pictures of the whole family each month. We only started linking up in November last year, but I am hoping to be able to post a Me and Mine picture every month this year. Saying that, January was a bit of a rush for us and we only took these pictures yesterday. I must try and be a lot more organised in the future. I don’t know about you, but I always find it bit difficult to really get going in January. It’s probably my least favourite month of the year with all the Christmas festivities over and the weather usually not being very nice. We went for a few walks, but most weekends were spent indoors. We used this time to book our holiday for this year. We are going to Disneyland Paris in May – yay!! We are so excited (well, my little one and I more so than my husband, but I am sure he will love it just as much as we will). Our little girl is obsessed with Disney. The Anna and Elsa dolls Father Christmas brought literally never leave her side and she plays with them constantly. December has been such a busy month for us. We did a lot of fun things, but we were also put out of action due to illness for a few days. In the middle of the month I took our little girl to our local theatre to watch the pantomine. She was looking forward to going for so long, but when we arrived at the theatre, she wasn’t sure. We had tears and requests of wanting to go home. After a little while, however, she really started to enjoy herself and we stayed for the whole show. A few days later we went to see Father Christmas, which our little one absolutely loved! He was extremely kind and took a lot of time to speak to her and to make her feel comfortable. I really loved the pictures we were able to take. Another December highlight was seeing our gorgeous little girl take part in her first ever nativity play that her nursery had organised. We were so proud and there might have been a few tears (on our part this time…). On Christmas Eve we travelled to see my parents and my sister. As they live abroad, we don’t get to see them very often. Being able to spend Christmas and a few days afterwards with them was so nice.